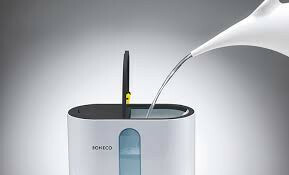 The device can be filled with water from the top wherever it is being used, as well as from any position, and is controlled using the LED display. 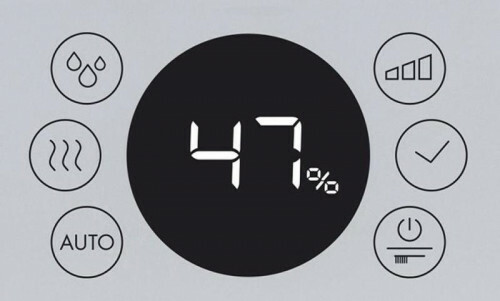 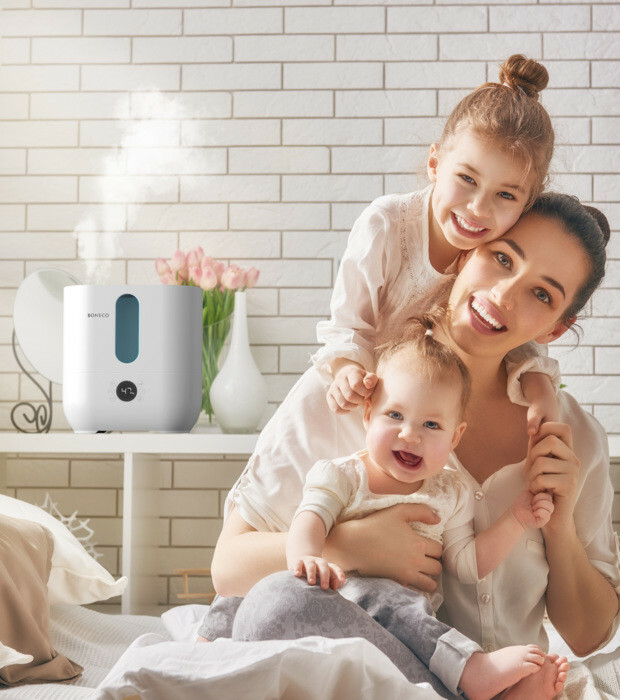 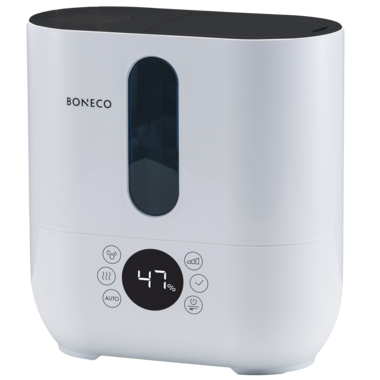 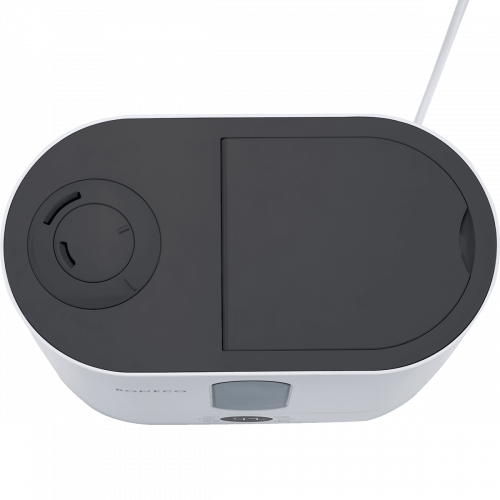 "AUTO" mode automatically and without worry humidifies the room air to an optimum relative humidity of 50%. 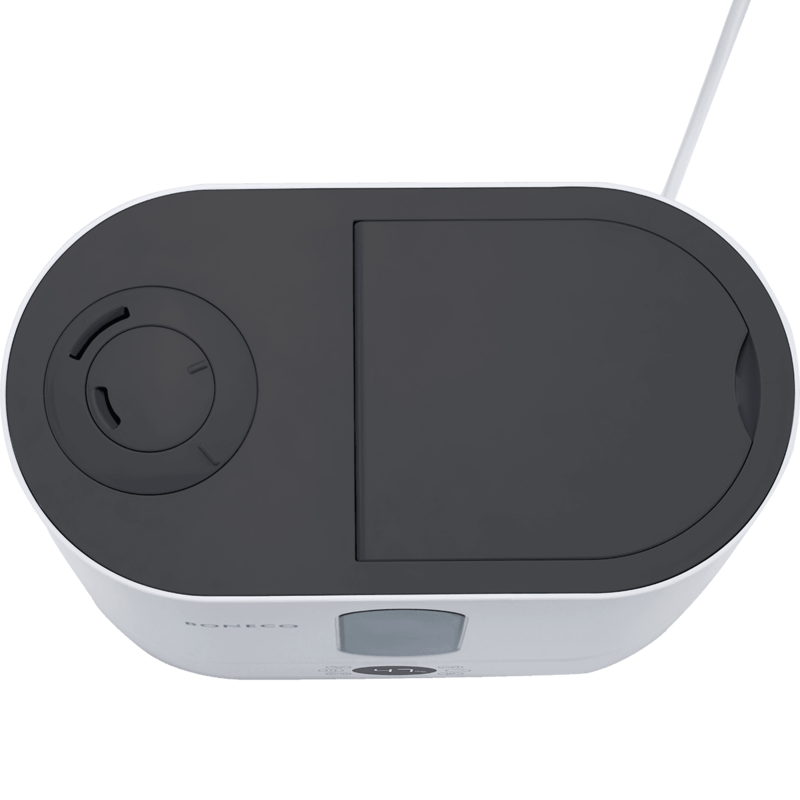 This value is measured using a built-in humidistat and can be set as desired. 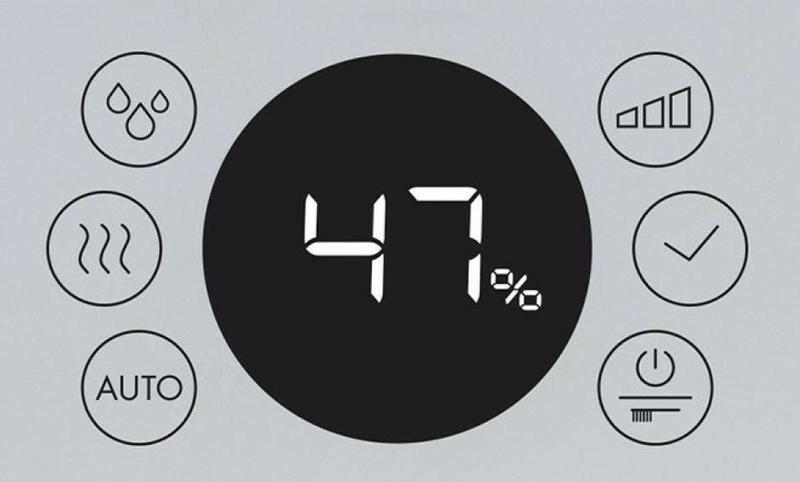 The display provides an overview of all functions and maintenance instructions. 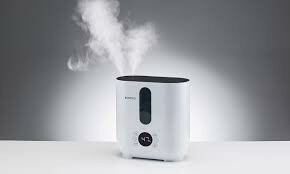 The U350 offers refreshment with a cooling mist in summer and a comforting warm mist in winter. 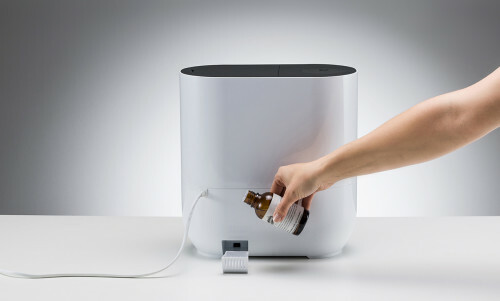 Essential oils can also be used for room fragrance depending on your preference.